The remote segments that Conan O'Brien does are often among the most entertaining things on television (or I suppose on YouTube, since that's how most people consume late night segments nowadays). This one is no exception. 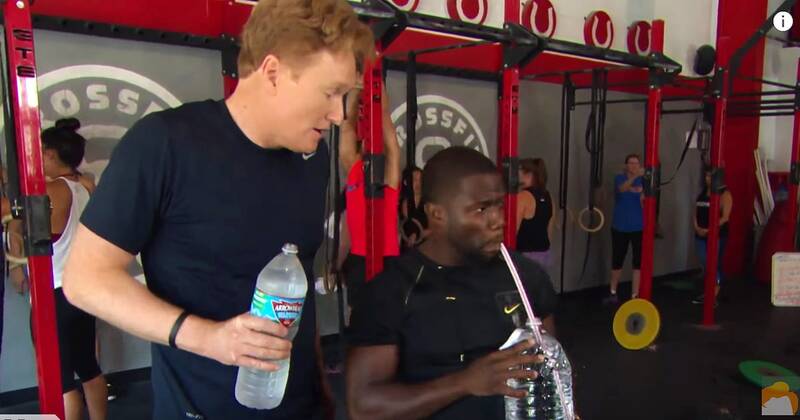 Conan hits the gym with Kevin Hart, and the rapport between the two is just delightful. We've seen this before when the two team up with Ice Cube to hijack a Lyft and with a student driver, respectively. There's no Cube this time around, but that doesn't diminish this, at all. Be sure to check out the outtakes, too, to see some more hilarity – plus a pretty impressive push-up from Hart.